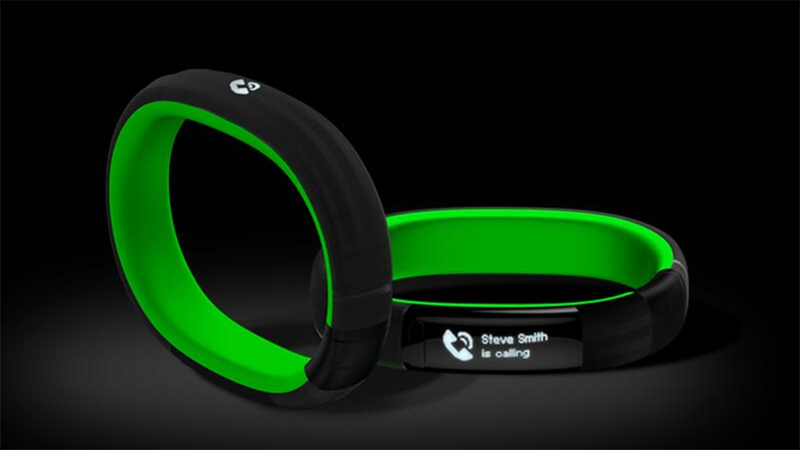 Razer's Making A Smartband. How Strange. Over the past couple of years, gaming accessory maker Razer has made big splashes at CES with ambitious projects aimed at changing the the way we game. The Nabu smartband is out to change the way we live. I've come to depend on Razer for splashy game-related reveals at CES, projects that lead to products like the Razer Blade laptop or the Razer Edge PC gaming tablet. So I jumped at a chance for a pre-briefing before the show with Razer CEO Min-Liang Tan, expecting some massive new PC gaming project. Instead, we talked about this. It's not a shiny pair of headphones, or a gaming mouse with several hundred buttons. It's not a mouse mat. It's not the Razer Blade Thick. It's a smartband. Named for the Assyrian and Babylonian god of wisdom and writing, the Nabu smartband is Razer's answer to both smart watches and fitness bands. It combines bio-feedback data and tracking with phone, email and app notifications. It'll chart your sleep. It'll let you know Steve Smith is calling. It will keep you from reaching for your phone during dinner, if anything can do that. The Nabu will help you explore your town. It will keep track of your social networking friends and let you know if one is nearby. It'll let you exchange data by shaking hands. It does not play games, but it can gamify everyday actions. You slept better than you did all week. Good job. You ran two miles yesterday. Can you run three today? Again, it does not play games, but it can be used to play games. Imagine a location-based game of tag, or a scavenger hunt where you can track the competition via their bands. Toss in some light guns, maybe Dustcloud's Dusters, and you've got Cloak and Dagger for reals. Razer eventually came through with an ambitious PC project for CES 2014, but that's not likely to come to fruition. The Nabu smartband is a real thing, shipping to developers early this year so they can determine how to integrate it into their games and apps. It's unlike anything Razer has ever done. Is that a good thing? We'll see.